The National Institute of Standards and Technology (NIST) campus in Boulder, Colorado is comprised of (30) buildings primarily used for scientific research. Non-renovated areas of Building 1 (Spine & Wings 1, 2, 4, 5) needed the domestic water system replaced including cold water, hot water, a hot water recirculation line, and hot water equipment. 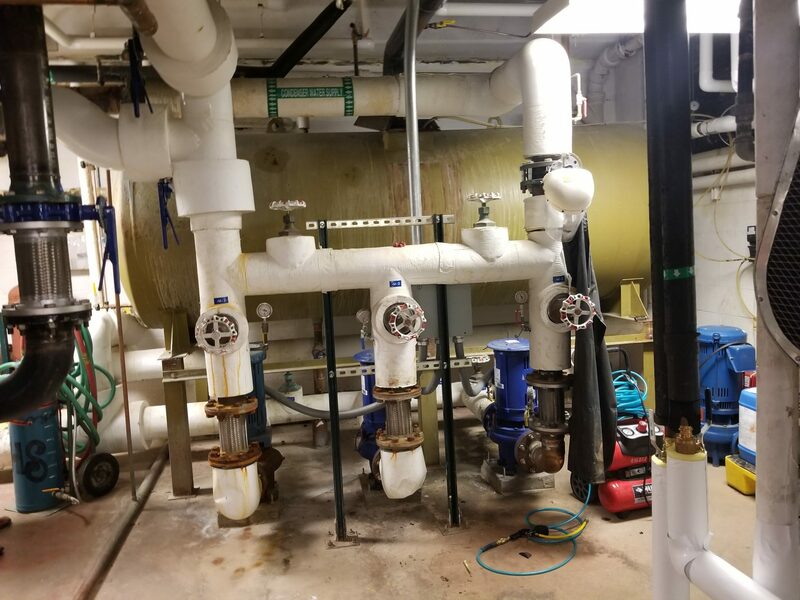 As the prime consultant, 360 Engineering and their design team conducted field observations of the existing domestic water system from the service entrance to all plumbing fixtures. 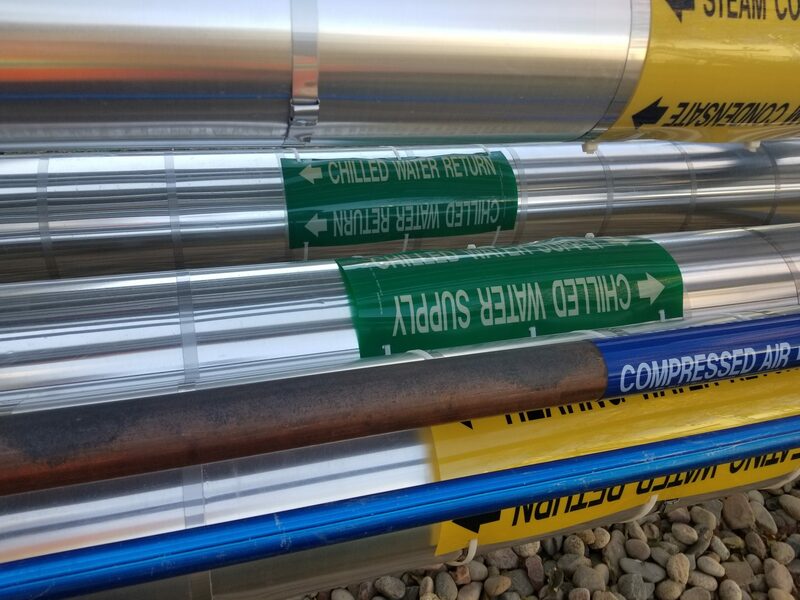 Based on these field observations and NIST’s project goals, 360 made recommendations for the new system and proceeded with design once final decisions were made by NIST. 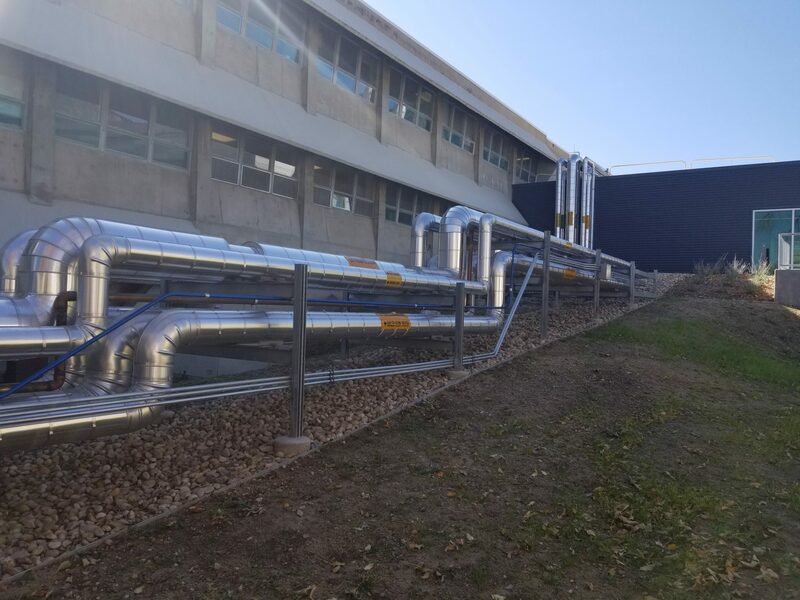 This project posed several challenges, including cost of construction to replace all piping in the laboratory areas, possible down-time for laboratory researchers during construction, and possible changes in design/needs due to on-going construction projects at Building 1. 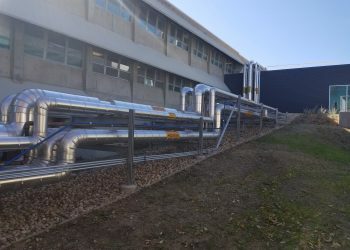 360 Engineering’s proposed solution to these challenges was a core and shell type design that involved capping full size pipes with an isolation valve off the main in the corridor. 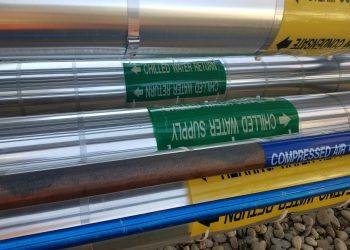 This would allow the pipe to always have the same capacity as the main, making it more flexible than the existing system. Additionally, this would allow labs to be connected into the space as needed for future modifications without shutdowns, draining, or the upfront cost to replace parts of the system. This would also minimize laboratory downtime and disruption during project construction. Ultimately, the core and shell approach would help minimize changes and costs during future construction projects at Building 1.